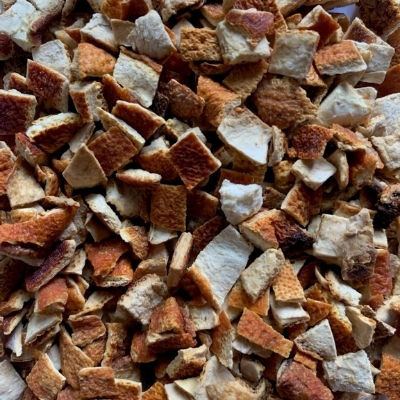 Orange peel contains aromatic compound properties that are antiseptic, reduce muscles spasms and decrease the thickness while increasing the production of mucous fluid. It also contains properties that are anti-inflammatory, reduce muscle spasms, increase the production of digestive fluid and increase blood circulation. Citrus peel has been used to treat coughs, colds, flu, fevers, and bronchitis. Put some in a muslin bag and add to your warm bath water. See our blog for recipes and ideas on making your own bath tea.